A few weeks ago, I resolved to try to cook at least one new thing (something that I had never cooked before) each week. 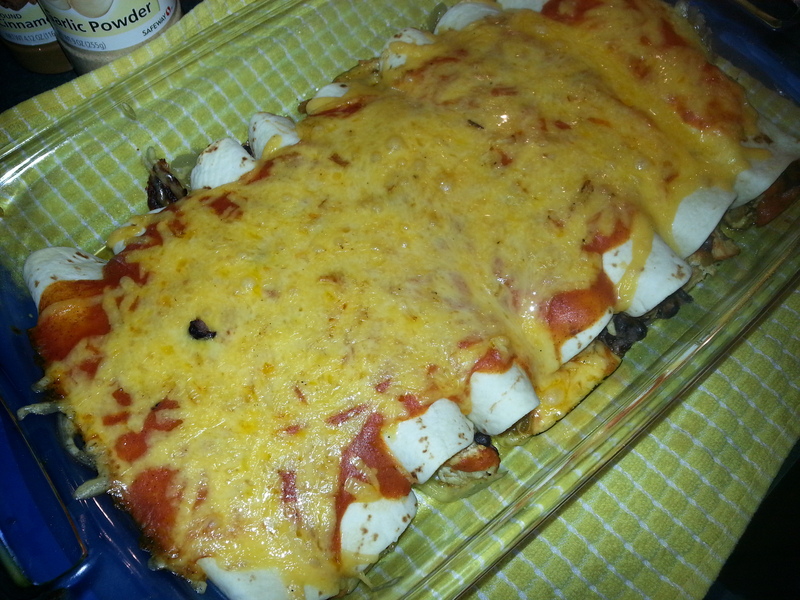 Making enchiladas from scratch was my most recent attempt at fulfilling this. the following is the recipe that I used to create my very own sweet and spicy red enchilada sauce. In blender or food processor, combine tomatoes, garlic, pepper, sauce, salt, cumin, oregano and cinnamon, and puree. Heat oil in a small saucepan over med-high heat. Add flour, and whisk the mixture to make a simple roux. Whisk in tomato mixture and chicken stock, and stir constantly over medium heat to remove any lumps. Reduce heat to medium-low and simmer for 15-20 minutes until the sauce reduces and thickens.